Horsham is centered on the historic satellite town to London, in West Sussex. The constituency has been represented by the Conservatives since 1880, making it the longest held Conservative seat. It has been represented since 1997 in Parliament by the Conservative Party’s Francis Maude. 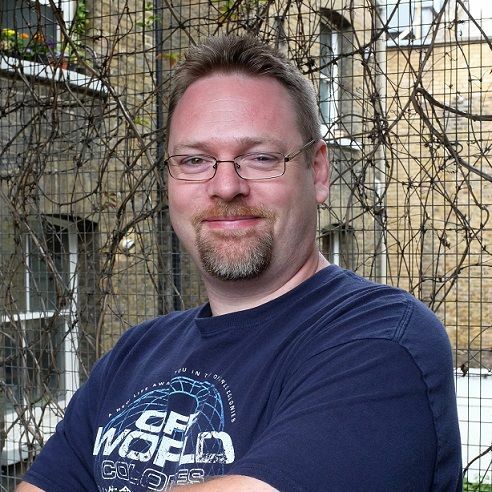 I’m a software engineer, and father of two young girls. 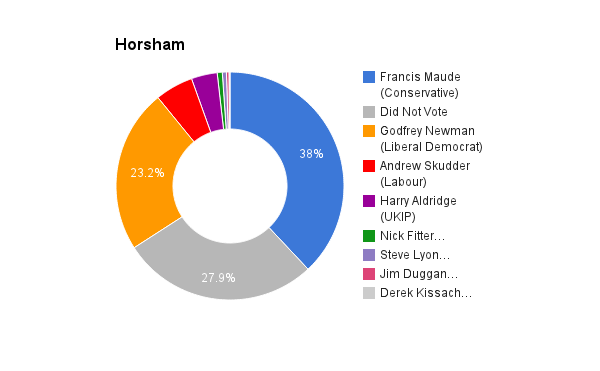 I have lived in the Horsham constituency for the last 10 years; first in Rudgwick, then more recently in Horsham itself. I’m not a politician, and have never stood for election before, but I decided to stand up and get involved because I was frustrated about the lack of choice on offer. Nobody seemed to be representing the way I saw the world, with optimism and a real vision of a better future. I’ve spent my career trying to use the power of the web to deal with the big problems around us, and now there is a movement growing that will take democracy forward, into the 21st century. I’m proud to be part of that movement with Something New. I’ve signed the MyMP pledge (mymp2015.org.uk), which says that I will continually engage with constituents online and offline, and vote with their views. I believe wholeheartedly in direct democracy, and that people should be able to have their voices heard, so this is really important to me. Also, we will keep building our open manifesto so that citizens can keep adding their ideas to our vision of the future. Giving the electorate a true voice is really the core of our campaign. I’m offering a new type of politics, a better democracy. People are frustrated and disconnected with an out-of-touch political class, but we have the tools to do it better. If you want to make a system fit for the 21st century, that can deal with the challenges ahead, voters need someone who can look to the future and embrace it; that’s what Something New is about. Francis Maude’s work on digital government and transparency has been absolutely superb. He has led the transformation of government online service delivery to build a the modern, agile Government Digital Service that puts citizen needs at the centre of their work. That transformation will roll across the whole civil service, bringing government/citizen interaction up to date. He has also worked on openness and transparency in government, which is another core part of a modern state. There are a great many things on which we disagree, but his core work of civil service digital transformation has been excellent. No. We’ve had the one of slowest recoveries from the 2008 crash, and pubic services have suffered massively. When spending drops, government needs to keep going to keep the economy moving, not stop spending as well; that just makes things worse. Austerity has punished the weak and vulnerable for the 2008 crash, when they did nothing to cause it. Running a deficit can be a good thing, and at the moment we need one. Immigration is vital for the economy, and culturally, a diverse society is a stronger society. The immigration debate has been whipped up by reactionary right wing politicians, and I find it deeply distasteful and small-minded. This is where we need economic stimulus by the government to get our economy moving again. However, unlike the money given to the banks after the crash, we need money going into the real economy, into people’s pockets. Austerity is at the root of this one, I’m afraid, once again. The NHS is already very successful – one of the most effective health services in the world. I would like to see it taken out of the direct control of politicians, so that it doesn’t become a political football with top-down reforms every few years. I’d like it to remain publicly owned, and democratically controlled. The NHS Citizen project is looking at ways of doing this with citizen panels, and looks very very promising for the future. This once again comes back to austerity. Government needs to stop the war on the vulnerable, and the reduction of public services, and start getting the economy moving. One simple option, that we desperately need would be a nationwide insulation and renewable energy installation program. Yes. Our political class, especially the upper echelons, has no idea about the real world. I’d like to see term limits on representatives, so that politics isn’t a career, but a temporary calling. I’d also like to see the House of Lords replaced with a system of randomly-selected citizen panels, like jury service, to give non-politicians a voice in the legislative process. I would encourage a vote to stay in the EU. The EU project is incredibly important for many reasons, but one simple one is the years of peace across Europe the like of which it has never seen before. Yes, there are a lot of things about the EU that need fixing, but the best place to fix them is from the inside, with a strong leadership position, not out on the edge complaining. The world is becoming relentlessly more international; countries are becoming less and less important, so turning in on ourselves at this point seems futile and fearful. My name is Martyn Davis. I am married to Tracey, who is a teacher, we have three children. I grew up in South London, and attended the local comprehensive school, and am the first and only member of my family to attend university; I have worked within education since leaving university, and I have worked as a freelance education consultant since 2004. 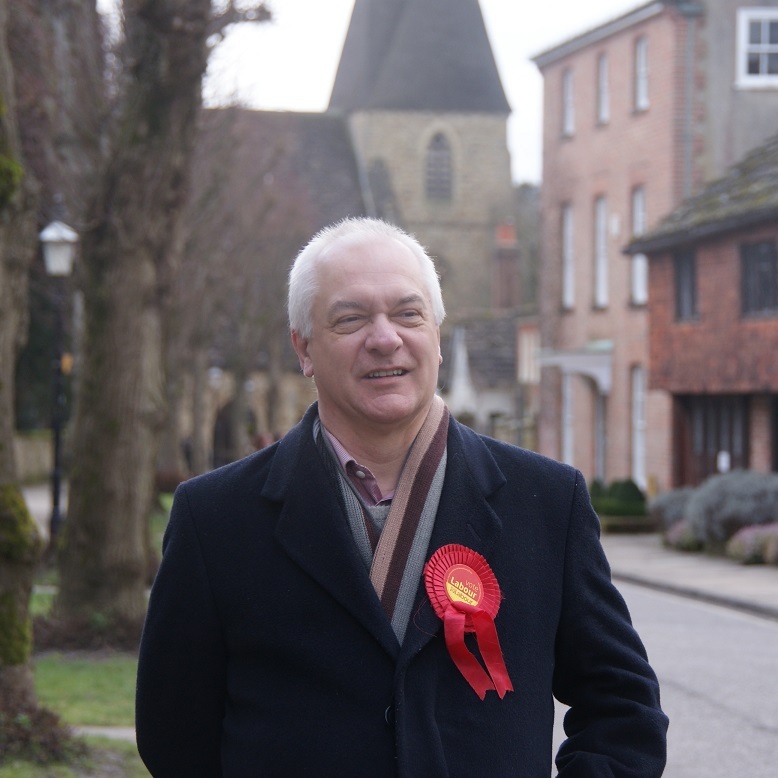 I am standing for Horsham because I believe that I have the experience, energy and understanding to represent the residents of Horsham in a positive and proactive and effective manner. Communication is essential to ensure that the MP understands the needs, aspirations and views of the constituency. If elected I would deliver a quarterly newsletter to every house in the constituency; I would hold weekly surgeries and visit shopping centres with a stand in order to meet local people. In addition, I would visit each school, and health centre on a regular basis. I am a hard-working, loyal and principled individual. I believe in public service; and that the MP is the elected servant of the constituency of which they are elected. I understand working people’s concerns and what is important. I have worked in education for most of my working life, both, within the public sector and as a self-employed person. I have the real life experience of the worries of household income and expenditure, of hard times as well as good. I have a family and I understand the pressures that family life can bring but also the joys. I am not a career politician if elected I would be a full time constituency MP, not looking for ministerial preferment. I understand the area, and would be a passionate advocate for the constituency. I find this quite difficult to answer; he has spent much time on the front bench, pursuing his career, he has been a chair of a large banking group, at the time of the financial crash. I do not believe that austerity has worked. This government has borrowed an additional £548 billion, this in spite of a promise to reduce the deficit. They borrowed more in four years than labour did in thirteen. They also lost the UK its three star rating. The economic crisis was a global one and the untruth that Labour caused it is ludicrous. The best way, historically, is to invest in building, creating higher paid jobs and encouraging inward investment. When the United Kingdom’s current account balance is added to its capital account balance, it serves as a measurement of the degree to which the UK is a either a net lender (i.e., in surplus), or a net borrower (i.e., in deficit). As the Office for National Statistics’ accounts have recorded, in every year since 1983, and in every quarter since the third quarter of 1998, the United Kingdom’s national accounts have been in deficit. Osborne’s economic plan has not reversed this trend. Far from rebalancing, the economy has become more imbalanced and skewed towards the financial services sector and the economy of London and the Southeast. In 2012 and 2013, the UK’s current account deficit was £61.9 billion or 3.7 per cent of GDP and £72.4 billion or 4.2 per cent of GDP, climbing to £23.1 billion or 5.2 per cent of GDP during the second quarter of 2014. Osborne’s goal of £1 trillion worth of exports by 2020 appears fanciful. In 2013, total exports amounted to £511.3 billion, barely half the stated target. Three major challenges lie ahead: to improve our overseas trading performance, to boost investment, including by the public sector; and to improve productivity. More immigrant workers does increase the supply of labour. But, because immigrants earn money, spend money, set up businesses and so on, it also increases the demand for labour. And it’s true that, if an immigrant takes a job, then a British worker can’t take that job – but it doesn’t meant he or she won’t find another one that may have been created, directly or indirectly, as a result of immigration. So immigration may have a negative or positive impact on jobs and wages for British workers; so far, the evidence suggests that the direct impacts have been rather small. Over the longer run, however, the indirect impacts are likely to be larger, and here the evidence suggests that the impact is likely to be positive. Immigrants have different skills and experiences to native workers, so they complement rather than substitute for natives, helping raise wages and productivity for everybody. And, in general, economists think that competition – including in the labour market – leads to efficiency gains. Without EU migrants, the deficit would certainly be bigger than it is now. Of course, immigrants get old too, so it is important to look at the long-term impacts as well. Research at the National Institute of Economic and Social Research suggests that, if the David Cameron were actually to meet his target of reducing net migration to tens of thousands, the very long-term impact (looking out to 2060) would be significantly higher taxes (or lower public spending) of about £30bn a year in today’s money. The Office of Budget Responsibility has produced very similar projections. The zero hours contracts are a disgrace, they give people no guarantee of work and income, and are given to the most vulnerable people on lowest wages. The living wage must become a reality in the employment of people. We are fast becoming a low wage economy, and that means we are a low income tax economy, and it is clear that as a result of the encouragement of low pay and zero hours contracts the government has seen tax returns reduce. The introduction of a living wage, the abolition of zero hour contracts for regular workers and the admission that state help for the lowest paid is essential. Effective leadership that seeks to distribute influence and decision-making throughout the organisation is essential if the NHS is to rise to the challenges that it faces. Successful leaders will be those who engage staff, patients and partner organisations in improving patient care and population health outcomes. Any organisation, large or small, must engage staff to deliver a better patient experience and have fewer errors and lower infection and mortality rates. When financial management is strong, staff morale and motivation are higher and there is less absenteeism and stress. Engaged staff deliver better outcomes for patients. Equally important is the need to do much more to engage patients themselves both collectively and individually. The benefits of patient engagement include the delivery of more appropriate care and improved outcomes, especially for patients with long-term conditions. For top leaders there is a need to balance a pace-setting style with a more nuanced approach in which leaders give greater priority to patient and staff engagement, especially the involvement of doctors, nurses and other clinicians. Leadership across systems is significantly under-developed in the NHS and must become a higher priority. NHS boards should demonstrate through their actions that they value staff and pay attention to staff health and wellbeing. Leadership needs to be developed in ways that break down rather than reinforce ghettos, with managers and clinicians training and working together. Renewed efforts must be made to engage doctors and other clinicians, including nurses, in leadership roles. One of the reasons we have a high level of youth unemployment in the UK is that too often the education system fails to prepare young people for the world of work, or to ensure that young people make a successful transition from education to employment. However, one of the reasons why these problems exist is that there are not enough connections between employers and educational establishments. Besides offering employment, there is more that employers can do. Young people are finding the transition from school to work more difficult. Employers can help young people prepare for work. Some evidence suggests that contact with employers while at school, through work experience, career days, mentoring, as well as other activities; improves the job prospects and earning potential of young people once they leave education. The Government must also do more; for too long post sixteen education has been squeezed financially. Post sixteen education has the lowest investment within education and this is a huge mistake and nonsense; education is the one investment that gives a fiscal return, through taxation. This problem is also exacerbated for adults, where this government has all but cancelled funding for adults, which means that they have no opportunity for retraining or to progress themselves. Clearly, we need more diversity within Parliament ensuring that it is representative establishment, representing all people, and not just those who fit into the boxes that have been created. We should actively seek to ensure diversity in our parliamentary representation, with different experiences and histories represented in our Parliament. I would be encouraging people to vote to remain as a member of the EU; encouraging them not to believe the nave rhetoric of the no campaign, who really live in a unrealistic bubble. In the long-term for an open economy like the UK would be the effects of a British exit on Foreign Direct Investment. A very significant part of inward FDI comes from non-European companies seeking access to the Single Market. But what would be added to the balance of risk for firms in making investment decisions would be the knowledge that they would no longer have a government to speak up for their interests in the EU decision-making process. The UK will be a greatly diminished player in world politics. The European Union has been the most important single means of leveraging British power and influence in world politics. Within the EU, the UK is a hugely powerful and influential Member State, especially on defence and foreign policy issues. Outside of the EU, there is no top table to sit around – and we can just forget about leadership. The Commonwealth is not waiting for British leadership and in any case it is little more than a talking shop.. Our relationship with the United States will continue to encompass shared bonds of language, culture and history, but we will not really be any kind of useful partner for the US in world politics. Undoubtedly there will be other adverse consequences following a British exit from the EU. On the other side of the balance sheet, we will be able to comfort ourselves that the UK government (or it successors) will have the trappings of sovereignty. They will enjoy the theoretical right to vote against new EU legislation. But they will not be able to exercise it and keep access to the Single Market. That said, we may save as much as 0.045% of GDP in membership fees. Taking all these factors into account, it is hard to escape the conclusion that leaving the EU would amount to little more than an act of mindless political and economic vandalism and why?